Kaʻona was born and brought up in Kainaliu, Kona on the island of Hawaiʻi. He received his education at the Hilo Boarding School and graduated from Lahainaluna on Maui. Then, he felt possessed with miraculous powers. Neville was sent to evict them from there. Kaʻona was arrested and returned to O‘ahu for a short time, but by March 1868, he, again, returned to Kona. Kaʻona described it as the final days. On October 19, Sheriff Neville, his deputy and policemen, approached Kaʻona once again to evict them, and Kaʻona encouraged his followers to fight. A riot took place. “Neville was felled from his horse by a stone, which struck him on the head … (an assistant) tried to get Neville, but the stones were too many, and so he fled likewise, and was pursued ….” (Hawaiian Gazette, June 23, 1869) Neville and another were both brutally killed. The event has been referred to as Kaʻona’s Rebellion, Kaʻona Insurrection and Kaʻona Uprising. Kaʻona eventually surrendered; he and sixty-six of his followers were arrested, and another 222 were released after a short detention. Kaʻona was returned to O‘ahu, convicted and sentenced to ten years of hard labor. The image shows the general location of Lehuʻula (Google Earth.) In addition, I have included more related images in a folder of like name in the Photos section on my Facebook and Google+ pages. Royal Centers were where the aliʻi resided. The Royal Centers were selected for their abundance of resources and recreation opportunities, with good surfing and canoe-landing sites being favored. 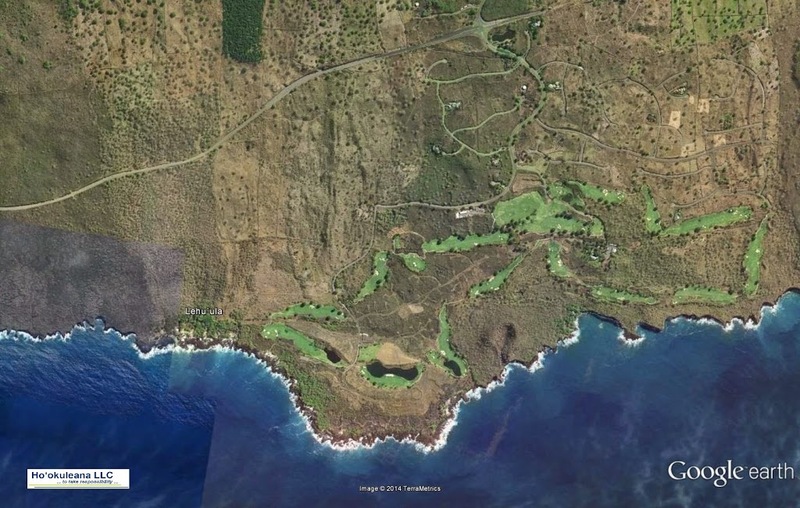 For centuries, Kaiakeakua (also spelled Kaiakekua) was a favored place for royalty. At about the same time of Christopher Columbus crossing the Atlantic to America (he was looking for an alternate trade route to the East Indies,) ʻUmi-a-Līloa (ʻUmi) moved his Royal Center there. ʻUmi was famous for his battle with the gods. His wife Piʻikea, had supernatural grandmothers, who were Hapuʻu and Kalaihauola, and who desired to have a grandchild that they might take to Oʻahu to bring up, because the mother of Piʻikea, Laieloheloheikawai, belonged to Oahu. Laieloheloheikawai sent the supernatural grandmothers to Hawaiʻi to obtain one of Piʻikea’s children. When they arrived in Hawaiʻi ʻUmi refused to permit a child to be taken. ʻUmi offered to fight the deities at the sandy plains. Some early writers called this place “Kayakakoua.” Joseph Paul Gaimard, zoologist on a French scientific expedition commanded by Louis de Freycinet during the years 1817-20, speaks of Kayakakoua. Oh, the name Kaiakeakua has gone out of use … today we simply call this place Kailua (in Kona on the Island of Hawaiʻi.) The remnant of the once sandy beach of Kaiakeakua sits adjacent to the Kailua Pier – it’s where the Ironman Triathlon World Championship starts each year. Ironman takes place there, today. For 13-years, I was Ironman’s Director of Aid Stations (1990-2002.) We had about 4,000-volunteers and over 30-bike and run aid stations for the approximate 1,200-contestants. Volunteering for Ironman was a great experience; I miss it. The image shows Kaiakeakua, Kailua Bay. (1935) In addition, I have included other related images in a folder of like name in the Photos section on my Facebook and Google+ pages. William Thomas Greenwell (1777–1856) and Dorothy Smales (1789–1871) of Lanchester, Durham, England had a son, Henry Nicholas Greenwell on January 9, 1826. Henry was educated in the Durham Grammar School and at Sandhurst, the British military college. As fourth son he had little chance of inheriting the family estate called Greenwell Ford. After graduating from the Royal Military Academy, in 1843, at the age of 17, he became an Ensign in the 70th Regiment of Foot, and a Lieutenant in 1844. Part of his military work included helping feed folks starving during the Potato Famine in 1847. Finding the military life insupportable, at the age of 23 he left for Australia to make a new start, arriving there on July 4, 1848. 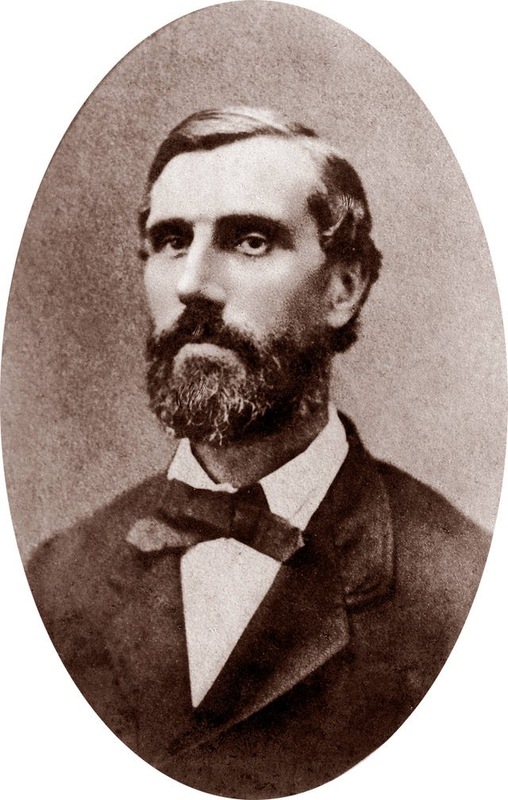 In early-1849, he decided Australia was not for him, then got a partner and planned to make a profit by buying goods in Australia and selling them in San Francisco. “On arrival, all hands took off for the gold fields, leaving the partners to unload the goods themselves. During this process, HNG was severely injured and was forced to go to Honolulu for treatment. He arrived on January 2, 1850 … On recovery he discovered that his partners had run out on him”. At one point Greenwell was accused of 2nd degree murder; he pled not guilty, testimony in support of his plea was made and he was ultimately found not guilty. Greenwell died May 18, 1891. His significant land holdings were eventually divided into three main ranches and were run by grandsons of his. The image shows Henry Nicholas Greenwell. In addition, I have added other images in a folder of like name in the Photos section on my Facebook and Google+ pages. Water was so valuable to Hawaiians that they used the word “wai” to indicate wealth. Thus, to signify abundance and prosperity, Hawaiians would say waiwai. Kamakau notes during the 1770s, “Kekaha and the lands of that section” were held by descendants of the Nahulu line, Kameʻeiamoku (living at Kaʻūpūlehu) and Kamanawa (at Kīholo,) the twin half-brothers of Keʻeaumoku, the Hawai‘i island chief. It is the home of Kamanawa, at Kīholo, and its fresh water resources that we look at today. This place name may have been selected as a word descriptive of the coastline along that part of the island where the east-west coast meets the north-south coast and forms a bend similar to the angle between the point and the shank of a large fishhook. While only a handful of houses are here today, in ancient times, there was a village that with many more that called Kiholo home. Where it was feasible, sometimes in small embayments, and other times directly on the coastal reefs, Hawaiians built walled ponds (loko kuapā) by building a stone wall, either in a large semicircle – from the land out onto the reef and, circling around, back again to the land—or to connect the headlands of a bay, they enclosed portions of the coastal waters, often covering many acres. The 1850s saw several outbreaks of lava from Mauna Loa: in August 1851; in February 1852 (it came within a few hundred yards of Hilo;) and in August 1855, when it flowed for 16-months. Today, evidence remains of the fresh groundwater flow through subterranean lava tubes and chambers out into the bay. There is a series of caves in Puʻuwaʻawaʻa that was formed from lava tubes. The ceilings of lava tubes often collapsed in some places and were left intact in others, forming caves with relatively easy access through the collapsed areas. Some of the caves contain fresh or brackish water, particularly those located toward the makai (seaward) end of the cave series. Caves that contained water were precious to the inhabitants of the area, even if the water in them was slightly brackish. (Kelly) One of these is identified as Wai O Keanalele, with three feet of almost fresh water..
On January 25, 2002 the Board of Land and Natural Resources transferred responsibility for State-managed lands within the ahupua‘a of Pu‘uwa‘awa‘a and Pu‘u Anahulu from its Land Division to the Divisions of Forestry and Wildlife (DOFAW) and State Parks. 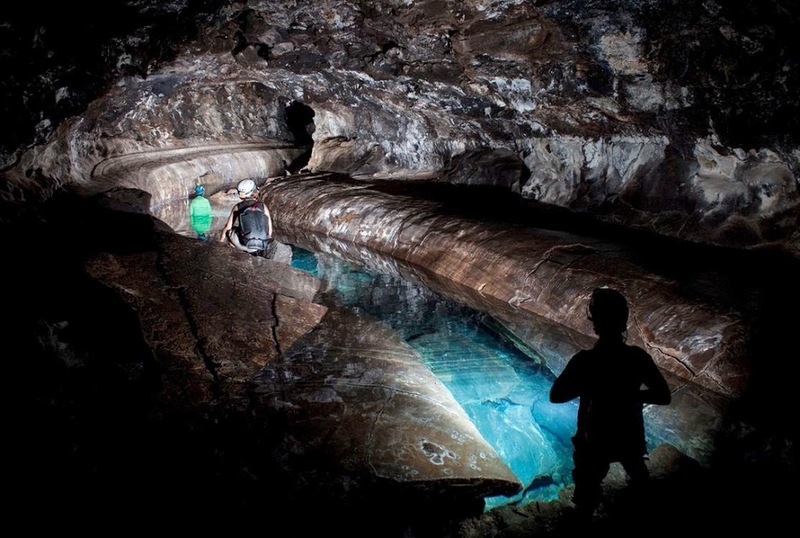 The image shows the Kīholo water cave of Wai O Keanalele (Moore.) In addition, I have added others similar images in a folder of like name in the Photos section on my Facebook and Google+ pages. In a lot of respects, with or without kids, school vacation schedules seem to set how we operate our lives. Summer … Memorial Day to Labor Day, right? Well, maybe before, but why? A first thought is the historic reason for the season of summer vacations is so kids can go work on the family farm. There are a number of reasons summer vacation came about, but the farming calendar isn’t one of them. There used to be two basic school schedules – one for urban areas and the other for rural communities. Short school years with long vacations are not the norm in Europe, Asia, or South America. Children in most industrialized countries go to school more days per year and more hours per day than in America. In the 1840s, however, educational reformers like Horace Mann moved to merge the two calendars out of concern that rural schooling was insufficient and then-current medical theory and concerns over student health in the urban setting. While it’s clear historically that 3-month layoff from school was not based on farming needs – for most of the country – in Hawaiʻi there was a farm-based reason for the break from studies, at least from 1932 to 1969. 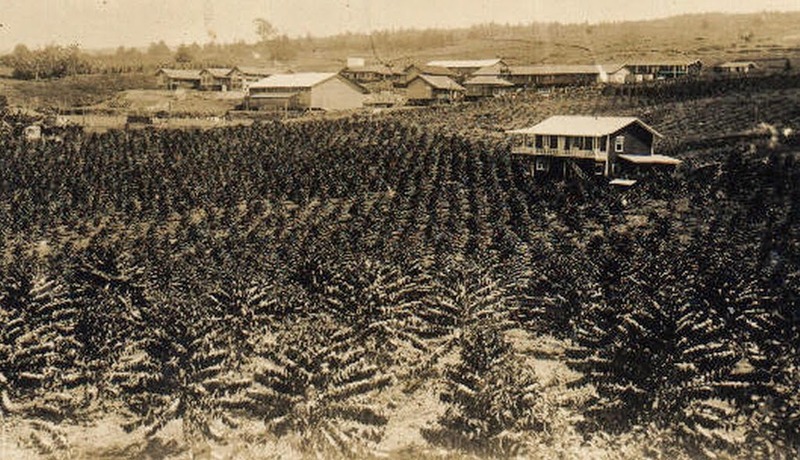 By the 1890s, the large Kona coffee plantations were broken into smaller (5+/- acres) family farms. By 1915, tenant farmers, largely of Japanese descent, were cultivating most of the coffee. Many hours were spent cleaning and weeding the land, pruning the trees, harvesting the crop, pulping the berries and drying them for the mills. In 1920, the Territory acquired land for a new school and in 1921, the new Konawaena accommodated students up to the 9th-grade; classes through the senior year were added by the 1924-25 school year. 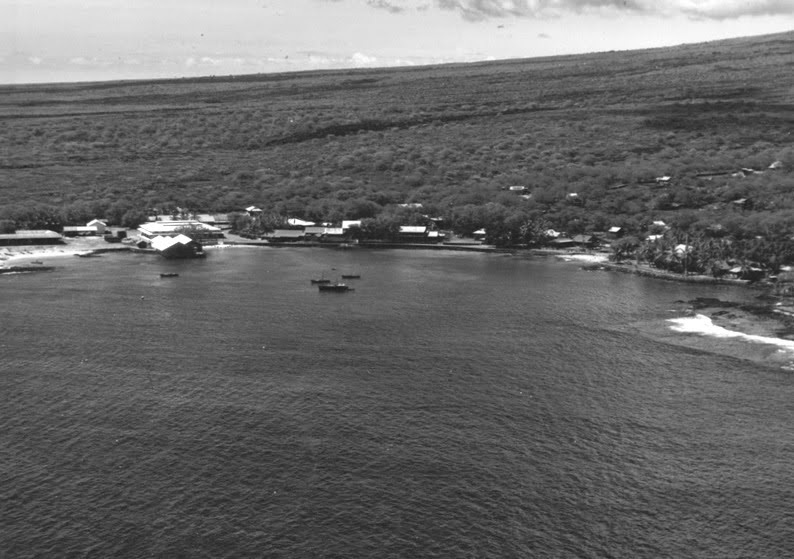 The Kona area was observed as being “different socially from the rest of the Islands” (Crawford, 1933; HABS.) Coffee farming was the main reason for the difference. This labor-intensive crop thrived best in the steep lava slopes of the Kona districts. These labor and land factors meant a non-industrial, small-farm type of agriculture, very different from the industrial trends in the growing sugar and pineapple plantations that developed in other areas of the Islands. The school went beyond recreational activities to accommodate the surrounding community. And now, in Hawaiʻi and across the country, there are varying arrangements for school schedules and vacations. Some areas have lost the 3-month layover; but most are trending with a total 180 to 200-days of instruction, with various schedules in arranging the breaks. The image shows, reportedly, the old Konawaena School and coffee (Kona Historical.) In addition, I have added other images in a folder of like name in the Photos section on my Facebook and Google+ pages.